What happens if we don't accept the $1 billion? Will we get more for regular buses? Why doesn't the route go down Main Street? Here are answers to 10 questions people are asking about LRT. Can we use the money for other things? Does this get in the way of getting other provincial money? 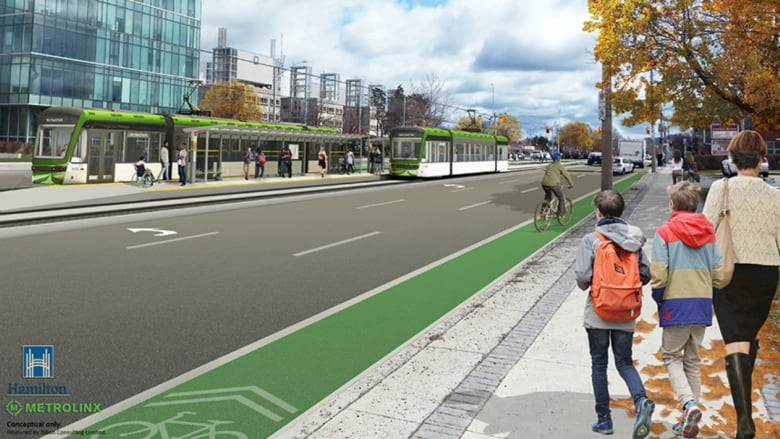 Hamilton city councillor are expected to vote Wednesday on a design plan for light rail transit (LRT) in Hamilton, with the level of support for the project on council unclear. The vote will happen at city council's general issues committee at 9:30 a.m. CBC Hamilton reporter Samantha Craggs will tweet from the meeting at @SamCraggsCBC. 1. 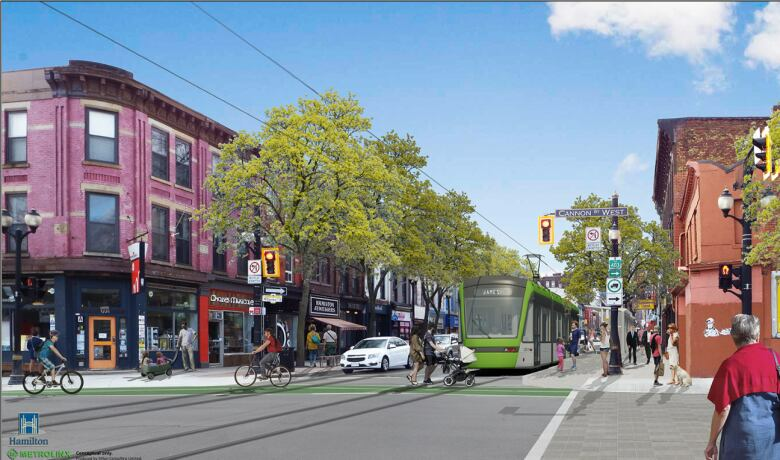 If Hamilton doesn't build LRT, does it lose the $1 billion from the province? Yes. The money comes from a fund called Moving Ontario Forward, and for Hamilton, it's reserved for rapid transit, says Bob Nichols, spokesperson for the Ministry of Transportation. That means Hamilton can only use it for LRT or bus rapid transit (BRT). It can't use it for regular buses. 2. If Hamilton doesn't take the $1 billion, will it get more money for transit, or for other infrastructure, such as roads? No. Regular infrastructure funding is a separate pot. In the GTHA (greater Toronto-Hamilton area), Moving Ontario Forward money can only be used for rapid transit. The province did set aside money for transit projects outside the GTHA. But Hamilton is within the GTHA, Nichols says, so that money can only be used for rapid transit. It's also not tied to grants for roads. 3. Why LRT over other rapid transit options? 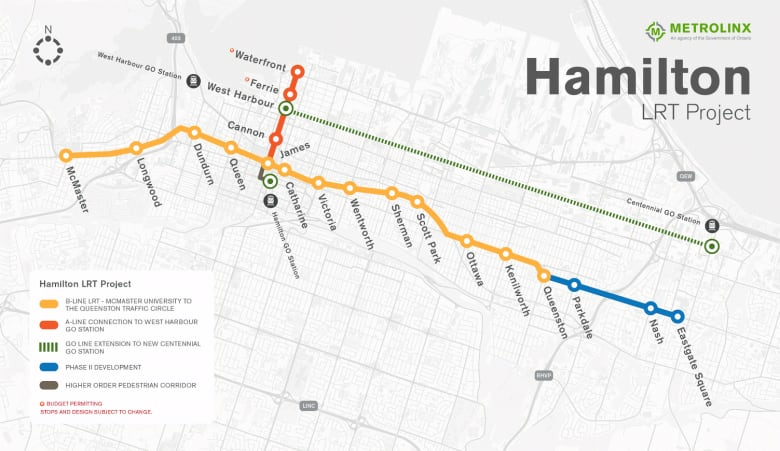 LRT was chosen by the province for Hamilton because, of the three rapid transit options studied, it generated the most transit and economic benefits. Metrolinx 2010 benefits analysis study concluded that while LRT was the most costly option compared to BRT (bus rapid transit) or phased LRT, it promised $850 million in transit user benefits and another $144 million in investment and development. BRT, by comparison, promised roughly half those benefits. 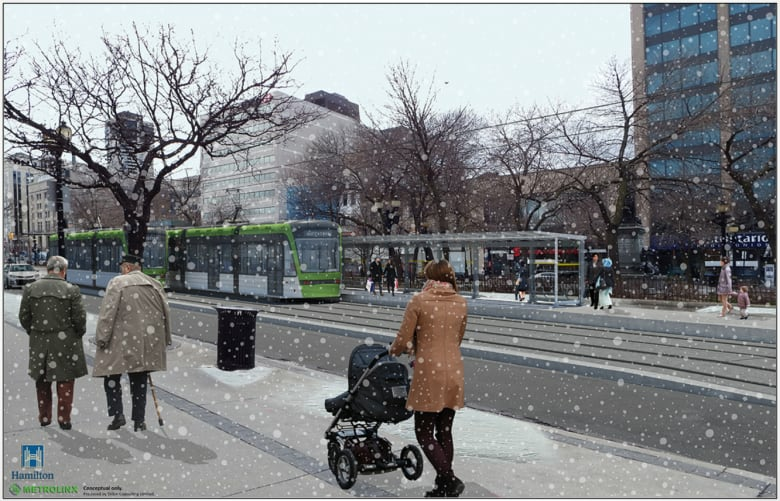 A report from the Canadian Urban Institute (Mayor Fred Eisenberger is the former CEO) say LRT will bring economic uplift to Hamilton, including more tax assessment along the route, generating more tax dollars for Hamilton because of a "LRT premium" on nearby properties The study also cited the health and environmental benefits. 4. Why doesn't the route go down Main Street? The LRT route is along Main in the western and eastern portions, but in between, it goes down King. The design study presented Wednesday even recommends building a new bridge over Highway 403 to accommodate the switch. Why? Metrolinx says it's a better route for economic spinoff. It said this in a 2010 benefits case study. It also said that if Main and King become two-way, Main makes a better corridor for two-way vehicle traffic. 5. Can there be a referendum? There can, but the city estimates it would cost $1 million to have one outside a general election. It would also delay the project and jeopardize the 2019 timeline to start construction. 6. What happens if the project goes over $1 billion? The province says it won't. The memorandum of agreement between Metrolinx and the city says that Metrolinx will build the project within that budget using a fixed-price contract. If it looks like it will cost more than $1 billion, Metrolinx officials have said, then it will scale down the project. 7. What if they dig into the ground and discover more infrastructure that needs to be fixed? Does the city have to pay for that? It depends. Metrolinx is responsible for relocating city-owned and third-party infrastructure, the city says. The city contributes if the infrastructure is already slated for replacement in the city's capital plan, or if it wants to do upgrades. Many councillors have questioned various potential scenarios around this. 8. Will construction happen in stages, or will construction tear up the whole length at the same time? No one knows yet. That will be decided when Metrolinx starts to get quotes and select companies to do the work. Some LRT construction projects happen in phases. In Waterloo, they are doing the entire length all at once. 9. What do the Mountain and other areas of Hamilton get out of it? 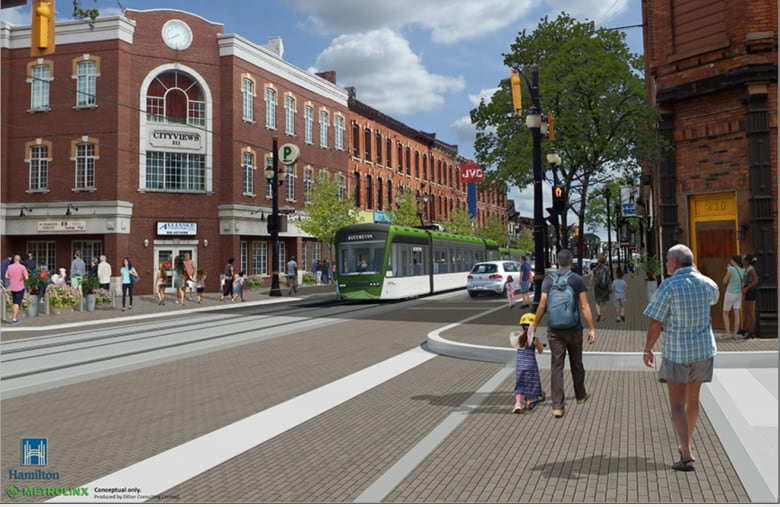 LRT advocates say LRT as a whole lifts the image and the whole transit system for Hamilton, and will generate economic uplift and new taxes that will benefit everyone. But Mountain councillors say they're having a hard time explaining the benefits to residents. Terry Whitehead, Ward 8 councillor, says he'd hoped LRT would free up more buses to run on the Mountain. But Dave Dixon, head of HSR, says that's not how he would approach that. The city runs HSR based on a service standard, and as long as an area is meeting that standard, there's no need to add buses. It's more likely reduced need for buses in the lower city would just means the HSR would just not have to spend more money to purchase buses in the following years. But councillors could decide to run more buses on the Mountain if that was what was wanted or needed. 10. Will the construction make people go out of business? They might. It's hard to know. In Kitchener-Waterloo, for example, the Downtown Kitchener BIA said late last year that it knew of a couple of businesses that moved and cited LRT construction, but there have also been new businesses open along the route too, so it's hard to tell. A Waterloo funeral home, Ratz-Bechtel, recently closed and cited LRT construction as a factor, but not the only one. Starting this month, the city of Hamilton is sending an outreach team to visit every affected business along the route twice a year. Just as LRT is about to be implemented, is council support waning?